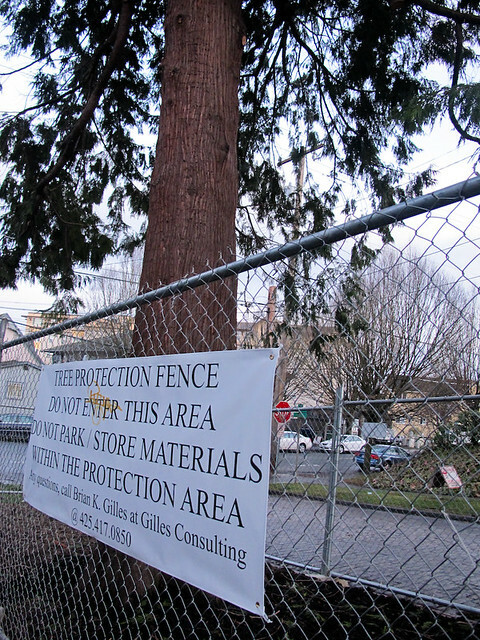 Seattle homeowners could need a permit to remove some trees from their property and developers would need to follow a “tree-point system” to determine how many trees would need to be planted when there is new construction under a new set of tree preservation regulations being considered at City Hall. 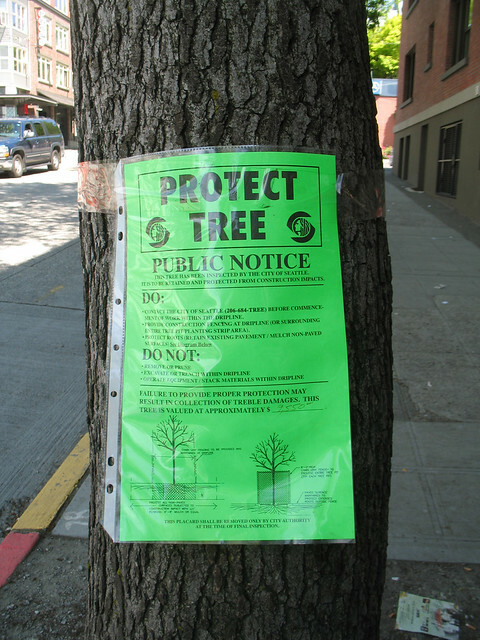 The city’s current tree preservation regulations were developed in 2009, but were considered at the time to be interim rules, said Yolanda Ho, of the city council staff during a May meeting of the council’s Planning Land Use and Zoning Committee. A set of draft regulations was then developed in 2012, but it didn’t end up going anywhere. Now, the council is trying again to develop a set of rules that could help the Emerald City reach is goal of 30% tree cover. One of the biggest changes would be to require a permit for removing trees. While many tree removals are forbidden under current rules, the system is complaint-based and difficult to enforce. The idea is a permit system that might make the cost of tree removal high enough that homeowners will think hard about if they want to remove the tree. The permit system, said Council member Rob Johnson (District 4), the committee chair, would help to educate homeowners about the value of the mature trees on their lot, and hopefully encourage them to keep their existing trees. The new plan is likely to consider two options for permits outside of the development process. The first would require a permit if the tree is 12 inches or larger in diameter (the standard term is diameter at breast height or DBH – about 4.5 feet off the ground). Additionally, some trees could have a smaller diameter and still require a permit. Some species simply don’t grow as large, so they’d meet the threshold with a smaller number. For example, the Pacific dogwood or black hawthorn are considered exceptional at just a 6-inch diameter. The other option is to simply say any tree with a diameter of 6 inches or greater requires a permit. Ho noted that removing the exceptions would make the process simpler. Additionally this option would be easier for a homeowner, who would no need to know what species a tree is, just how large it is. Steve Zemke would prefer the second option. Zemke is a member of the city’s Urban Forestry Commission, and is also part of friends of Urban Forests, a part of a coalition of 20 groups working to strengthen the city’s tree ordinance. Zemke tells CHS the 12-inch standard would only protect 18% of trees in the city, while the 6-inch standard would protect 45% of trees. During the meeting earlier this month, Ho said the permit could help with other issues. Currently, homeowners can only remove three trees from their property per year, but there is no tracking of that standard. The permits would allow the city to track that number. And even if the trees are removed with a permit, a homeowner would be required to either replace the tree with a new tree on their property, or pay into a fund for trees to be planted in another part of the city. Ho said another option under consideration would be to require owners of single-family homes to mitigate on their property, and only allow the fees for low-rise or taller buildings. Johnson said he’d like to see a graduated system, where, for example, a person removing a tree simply for the view would end up paying the most, while someone removing a tree for a safety reason might pay the least. He also said that when fees are paid, ideally the new trees would be planted close to the removed tree. But he also said it’s important to remember trees are not evenly distributed throughout the city, and the fees could help to address imbalances. Zemke said the replacement can be another problem. Some people will replace the tree like they’re supposed to, only to remove the replacement the following year, while it’s still small. “That’s how you end up getting nothing in the end,” he said. During her presentation, Ho acknowledged this is a problem, and said they’d find a way to ensure tree planted for mitigation are not then removed. The rules for new development may be different. They would give developers a “tree-point system” to determine how many trees would need to be planted on a property when there is new construction. The specifics of the system are still being evaluated. Hazard trees are also something the new rules could tackle. The new rules are considering several options, including requiring a permit and maybe mitigation for hazardous trees. Some people, Ho noted, call a tree hazardous and remove it, even if it is not hazardous. With the complaint-based system, it can be very difficult to determine if the tree was a hazard after it has been removed. Implementing permits and mitigation might help reduce the number of people doing that. “Let’s figure out a way to reduce the number of people gaming the system,” Johnson said. Finally, the new rules could clean up the system of fines for removing a tree in violation of the city codes. Now, the person is supposed to pay a fine based on the assessed value of the tree. But sometimes, when inspectors show up, the stump has been ground and the leaves removed to the point where it’s impossible to tell what kind of tree was removed, let alone its value. Ho said they are considering implementing a system of a flat fee per tree removed, or one based on stump diameter when available to eliminate this confusion. Johnson said he’s hoping to have a final bill in place before the council starts its budget deliberations in the fall, in case there are any budget implications from the new tree protection rules. The city has posted a memorandum highlighting the issues and possible legislative fixes. A draft set of regulations could come to Johnson’s committee June 20. One stumbling block to that may be that the ordinance could require a state environmental impact review. “Believe it or not, we have to study whether it is good for the environment for us to have a tree protection ordinance,” he said. This entry was posted in News, etc. 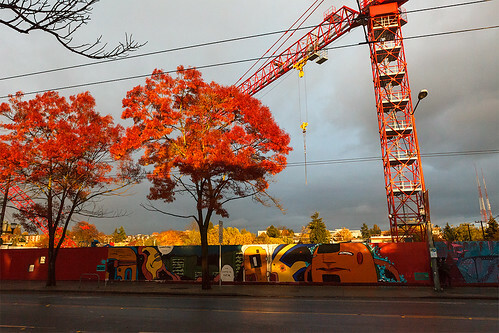 and tagged city hall, trees by Ari Cetron. Bookmark the permalink. I love this!! As we increase density in the neighborhood, it is vital that we protect our urban canopy. 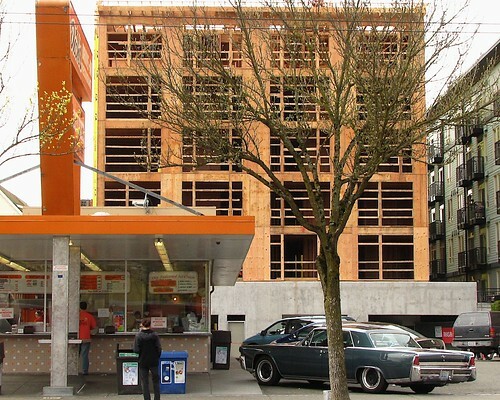 One thing that also impacts tree canopy: parking requirements. Time for elimination of all parking requirements in single family zones to preserve tree canopy. Ugh, you’re such an ideologue. City council complains that there is an affordability crisis in Seattle… then does what ever it can to make living in the city more expensive. Johnson’s proposal floated a few weeks ago had the sliding scale going up to $10,000/tree… yes $10K. Of course there is no science or facts associated with the need for this policy change. Is the canopy in Seattle declining, stable, or increasing? That would seem to be the single most important input into a tree policy, no? If there is a decline in canopy, what part, if any, is due to single family homeowners removing trees? Yes, of course, we all love trees, but we lambaste the Right for governing from ideology divorced from fact or science, we can not let the left function in this manor either. Oh, middle class home owners, there will be no respite. You will be pushed out of the city… by the City gov’t…. then you will be rewarded by the “vagaries of the market”. 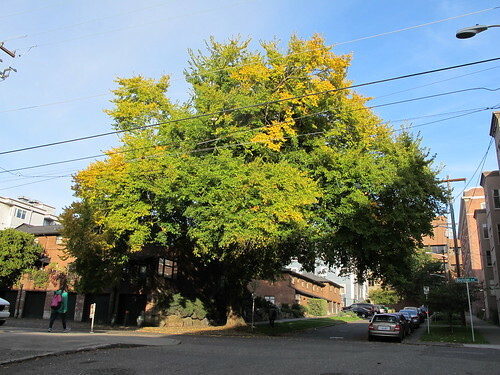 I welcome new regulations, if they are done carefully, because it is an established fact that Seattle is steadily losing its tree canopy, and we need to reverse that trend. One major problem is that some homeowners, usually in wealthier areas, remove a tree on their planting strip without getting a permit. This is only discovered after the tree is gone, by complaint, and there are really no effective consequences for the illegal action. The City Arborist is very lax in following up and fining these scofflaws. and, I would add…..if such as situation comes to the attention of the City Arborist, he/she has the authority to issue a fine and require a new tree to be planted, but in reality this doesn’t happen. Last year we had 3 arborists come out to look at a tree we wanted to have removed as we felt it wasn’t safe. No one would do it because the city was too difficult to work with. That large maple tree ended up falling on our house while I was home. I’m all for tree canopy, it’s part of what makes Seattle so special! 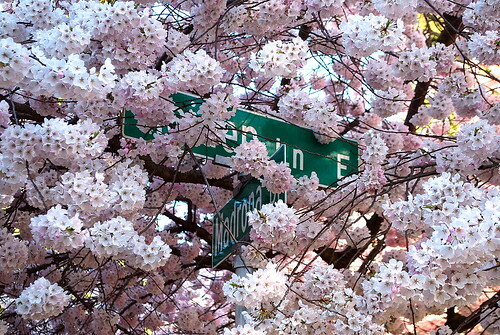 But I’d rather not die under a falling tree because the city is too hard to work with. The plan is great but can we make sure there are things in place for safety? Let’s have a tree policy that promotes native species first, especially the desirable, old growth species like Western Hemlock, Sitka Spruce, and Douglas Fir that dominated Seattle’s forests before Europeans arrived. These trees are safer as street trees and live hundreds of years. They support the understory plants and birds that were present in the original forests. Respect the magnificent specimen trees like Garry Oak that match particular conditions in particular areas. Require no permit to remove an invasive species such as Horse Chestnut, Cherry Laurel, or English Holly. Support imported species that don’t grow invasively, like the Coastal Redwoods from southern Oregon that will probably be natives a century from now if we don’t stop global warming.